ELIZABETH, New Jersey - Five Mexican national team players provisionally suspended last week for a positive doping result have had their "B" samples test negative, the Mexican Football Federation said Tuesday. 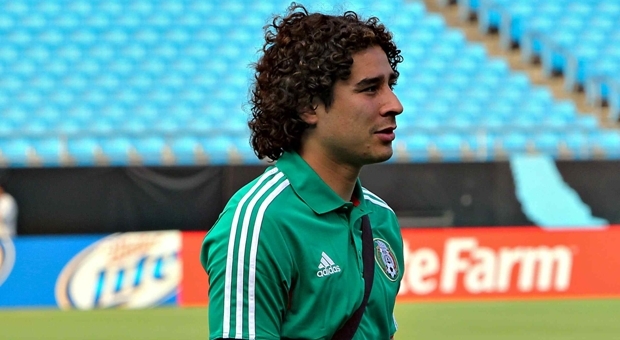 Goalkeeper Guillermo Ochoa, Francisco Rodriguez, Edgar Duenas, Antonio Naelson - or Sinha and Christian Bermudez tested positive for clenbuterol, a drug developed to treat breathing disorders but also used on animals, during a pre-Gold Cup drug screening May 21 administered by the federation. The federation released a statement that said the players tested negative for clenbuterol when a routine second screening of their "B" sample was conducted at a UCLA laboratory. Doping tests normally take a urine sample and divide it into two. If the "A" sample tests positive, the other part of the sample is tested to confirm the findings of the first test. The positive tests all came during a pre-Gold Cup training camp, leading Mexico to believe the source was tainted meat. Mexico's Director of National Teams Hector Gonzalez Iñarritu said, prior to the "B" test results, a second rounds of tests were conducted June 10 in an attempt to prove that the players accidentally ingested the drug. The results of the second set of tests are pending. He said the results could help build a case in the player's favor, as the Mexican federation will decide if any additional sanctions are required. In the meantime, Mexico will not release more information until Mexico's Disciplinary Commission reviews the case. He also said the federation will offer the best defense possible to prevent any further punishment when the case is presented to FIFA and the World Anti-Doping Agency. The federation will also wait to see if it can replace the suspended players for the remainder of the Gold Cup. Mexico has asked for permission to replace the five players, but CONCACAF has asked for more details of the test before considering the request.